Last year, Austrian BASE jumper and climber Michael Kemeter walked 250 metres on a slackline across Austria’s frigid Green Lake – a new world record. A fact that turns this slackline walk into something more than just an incredible feat of mental and physical discipline is that Kemeter’s grandfather, a conservationist, recently helped save the lake from developers. 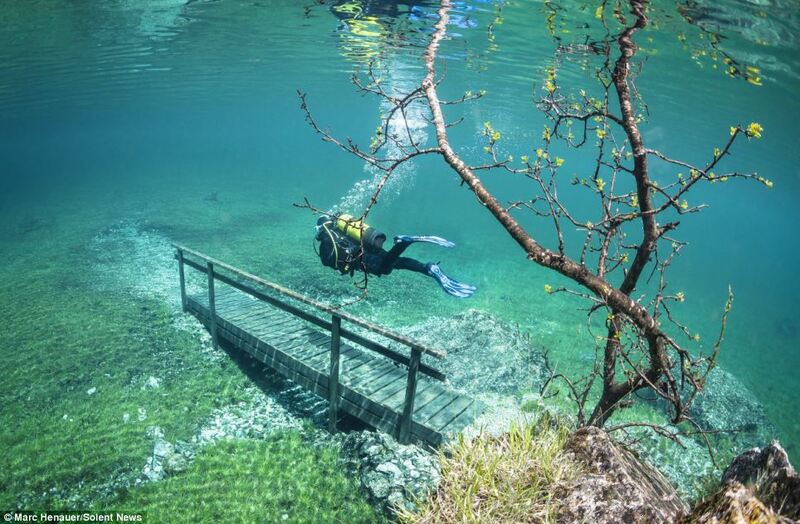 Located at the foot of the Hochschwab Mountains, the lake is the site of a rare phenomenon: it dries up almost completely in winter and is used as a park – but as soon as temperatures rise, the snow and ice covering the mountaintops melts, and fills the lake basin with more than 10 metres of crystal-clear water. A few years before his Green Lake feat, Kemeter completed a 30-metre tightrope walk 3,000ft above Yosemite National Park without a safety harness.